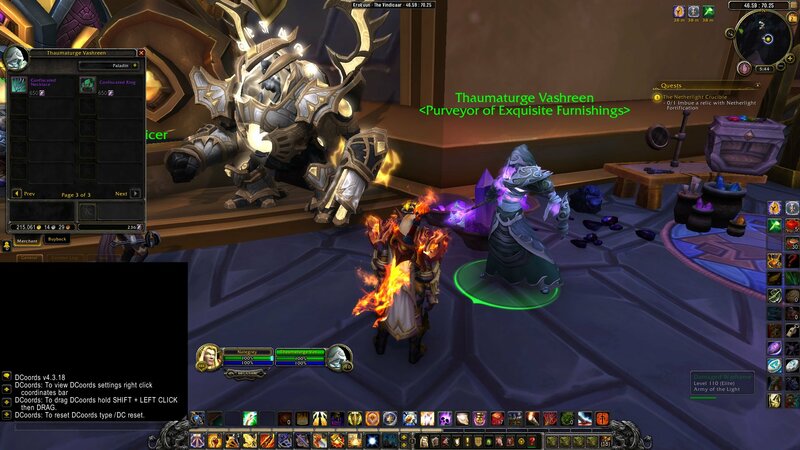 The new Soulbound Item vendor Thaumaturge Vashreen sells iLevel 775 gear upgrades for Alt characters. These can be purchased for 650 Veiled Argunite. A currency that drops from elite rare bosses throughout Krokuun, Mac’Aree, and Antoran Wastes in Argus. The bosses usually drop 3-6 Veiled Argunite and 5-10 from treasure chests. **Hope the iLevel is increased before the patch goes Live. 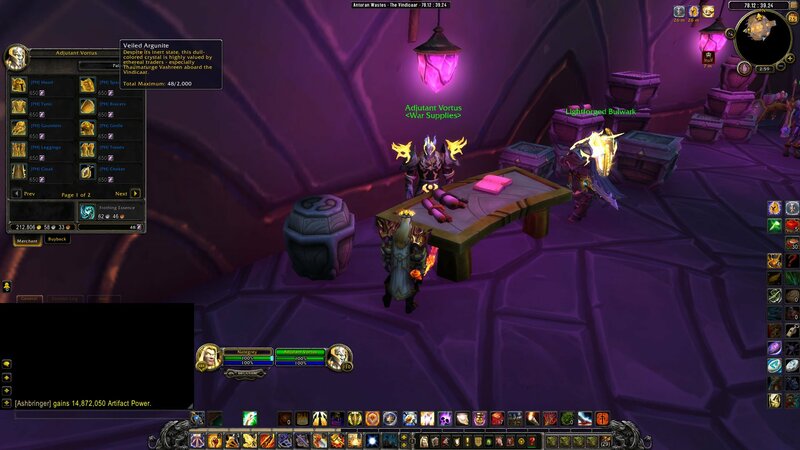 You can get better ilevel 845 from normal dungeons. 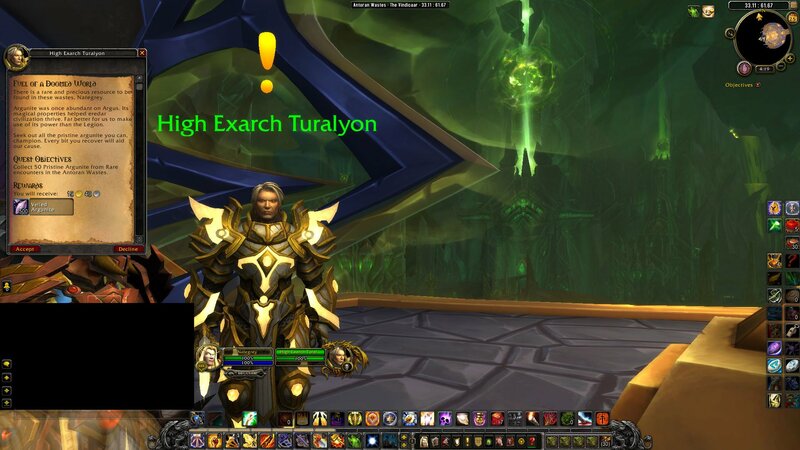 Turalyon offers a quest titled “Fuel of a Doomed World” which grants 500 Veiled Argunite as reward. You have to collect 50 Pristine Argunite from Rare Encounters in the Antoran Wastes for that reward. 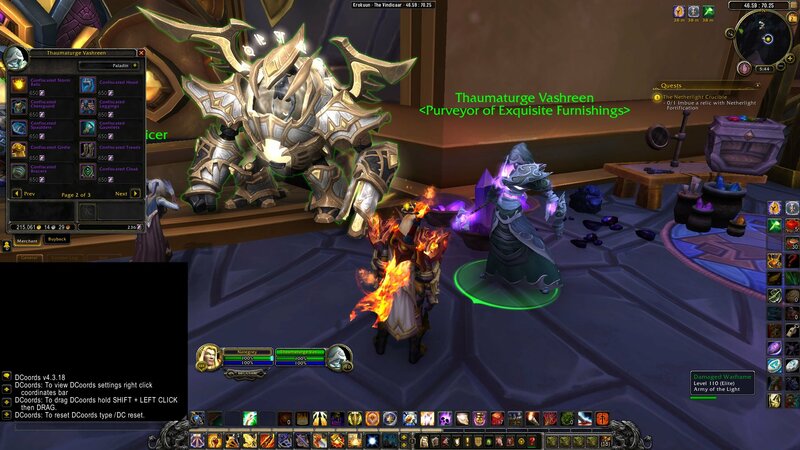 Thaumaturge Vashreen: My people lost their world to the void years ago and were scattered to the winds. I have a feeling some old friends are soon to show their faces on Argus. Not literally, of course. 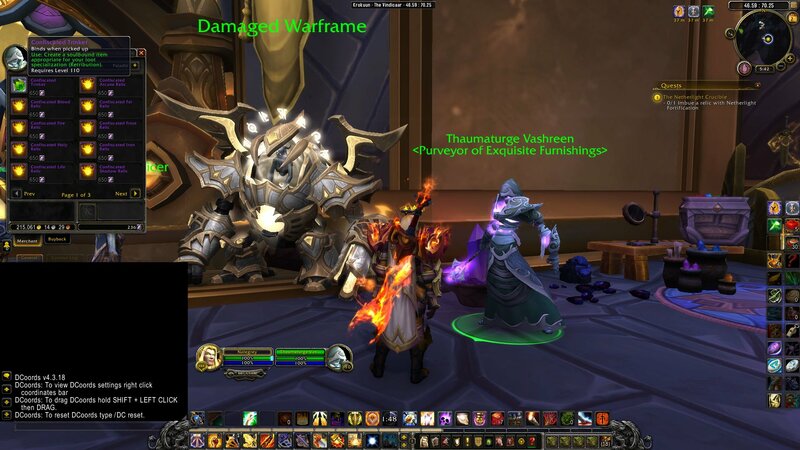 Thaumaturge Vashreen: I know that a disreputable individual by that name sought me out as a financier of a project that sounded profitable, and has never repaid my investment.